When: At breakfast time all year around. They open at 9 and serve breakfast until 4! (saturday and sunday even until 5). The inside is nice and cosy in the winter. The outside area beautiful in the summer. Drink: Hot drinks… They have a large variety of coffies, teas and hot chocolate… And many different kinds and sizes. Like it sweet? Try the hot chocolate with marshmallows! Eat: Breakfast! Yes they also serve other kinds of food… But the breakfast is a must. Select between many many different kinds (frensh, dutch, german) and get a huge plate with toppings to put on delicious rolls (german bread is famous for a reason). You are more into the english kind of food? No problem, they also serve different kinds of english breakfast (eggs, bacon etc). Price: Cheap indeed… The smallest breakfast starts at about 5 and goes up to 10 Euros. There is also a breakfast for 2 (18 Euros). Many breakfasts include a glass of orange juice or sparkling wine… Coffie is not included. 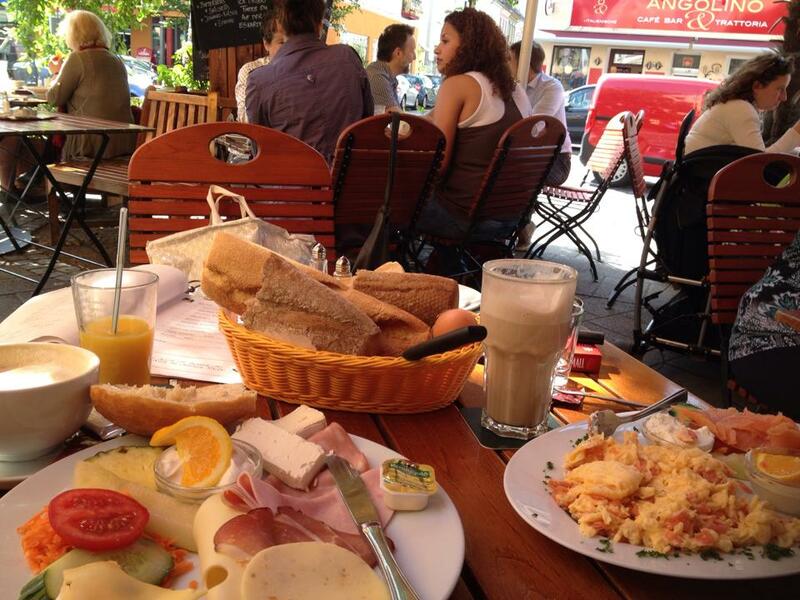 This entry was posted in Germany, Places behind Food and tagged Breakfast, Bremen, Eat, Food, Germany, Restaurants. Bookmark the permalink.